Alex: Well, my mood really. And street wear, mostly from Europe." Ghazal: "I don't know, like anything. My personality. I just want to show people how I am. So, basically, just me." 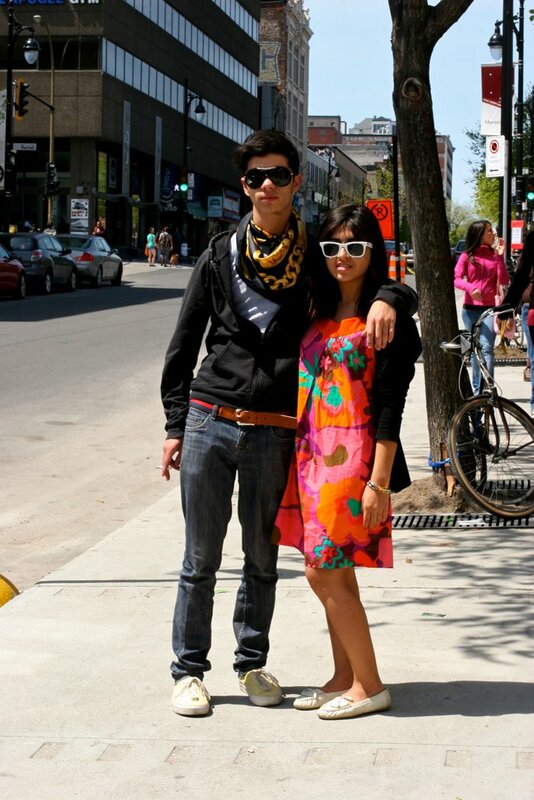 I like her bright vintage dress and their funky sunglasses. A lot of your recent photo's look too dark to me. You might try to turn your models a bit so that they are facing the light. 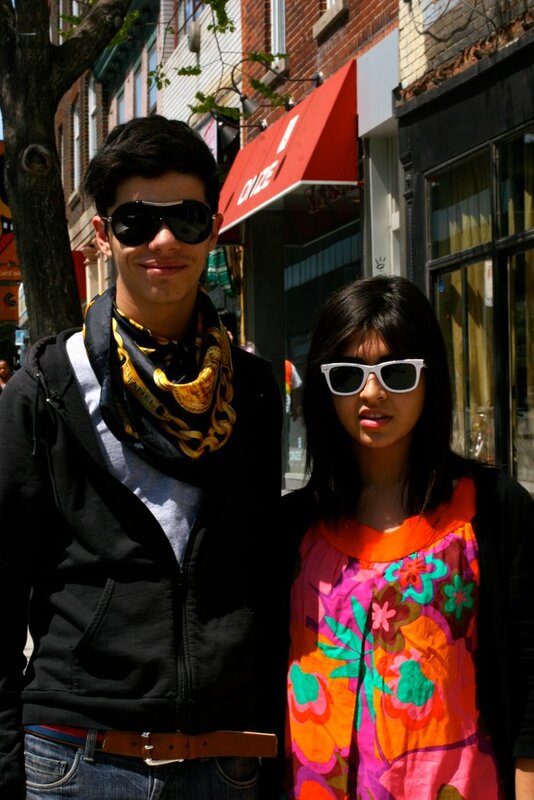 They are really cute, her sunnies are just like my husbands. And those moccasins are great.